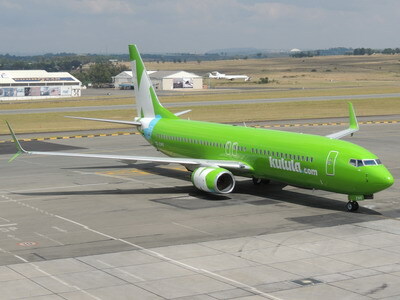 The Commercial Aviation Association of Southern Africa (CAASA) has launched its aviation activity index covering the sale of aircraft and air traffic movements in South Africa to provide a gauge of economic activity in the commercial aviation industry. CAASA at the launch on 18 May said the rationale behind the CAASA Aviation Activity Index (CAAI) was to recognise the indispensable role that commercial aviation plays in facilitating the rapid transport of decision-makers in all spheres of society and contribute more data on the aviation industry. CAASA’s Index found that despite disappointing results for the first quarter of 2017, commercial aviation activity in South Africa is alive and well and outperforming most other sectors of the economy by a considerable margin. The CAAI increased by 20.2% between the first quarter of 2014 and the first quarter of 2017. In comparison, the country’s GDP (weighted according to the quantity/nominal value ratio of the CAAI) only increased by 9% over this period. Since 2014 (the base period for the Index), the ratio of imports of aircraft spares to the imports of aircraft has remained high, averaging 1.48. The main drivers behind the positive trend of the CAAI since 2014 has been the value of exports of aircraft and the value of imports of airplanes weighing between 2t and 4. The values of imports of helicopters of a mass of less than 2t has also increased significantly over the past three years. Since 2014, growth in air traffic movements at airports managed by ACSA has been muted, but nevertheless positive. The group index for this indicator increased by a modest 4% over this period, CAASA said. In contrast, growth in air traffic movements at key non-ACSA airports has been more robust, namely 15.7% (since 2014). According to the first quarter of 2017 Index report, several declines having been recorded from the average quarterly values since 2014. Imports of larger helicopters were down 43%; imports of small aeroplanes were down 80%; imports of aeroplanes between 2t and 15t were down 71%; imports of under-carriages were down 68%; air traffic movements at East London airport were down 27%; exports of smaller aeroplanes were down 70% and exports of medium-sized aircraft were down 62%. Some of the reasons for the drop in the AAI include lethargic economic growth, with a recession only just having been avoided; declining levels of business confidence, as also reflected in a variety of surveys, including the Absa PMI and the latest SACCI Index; and high domestic interest rates, which have eroded the competitiveness of the domestic aviation industry via the high cost of capital. However, the Index has recorded some solid performers including the import of smaller helicopters; the imports of aircraft spares; air traffic movement at Cape Town and Durban airports and the export of helicopters.